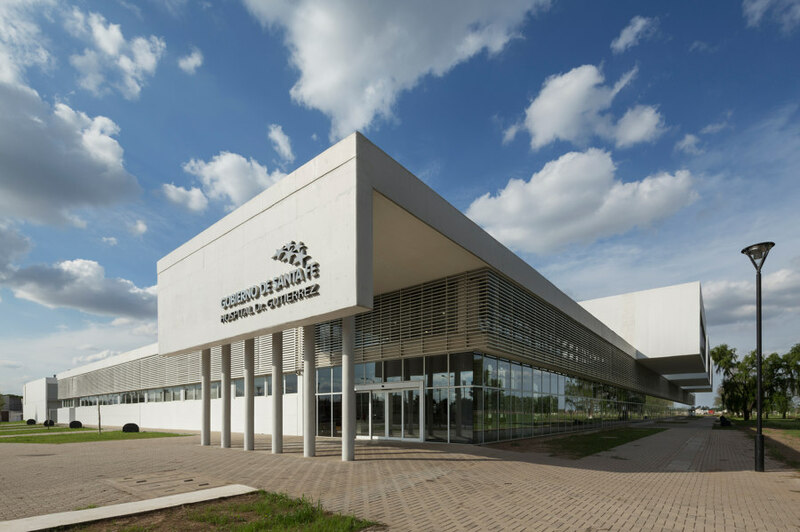 The building for the Dr. Gutiérrez Hospital of Venado Tuerto, Argentina is a highly complex regional hospital that is innovative in terms of its architectural design and advanced technology as well the healthcare services it provides. 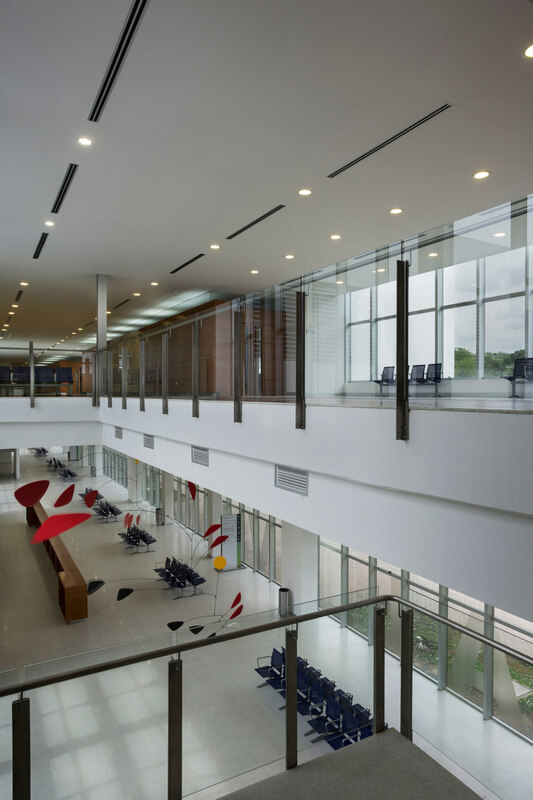 This hospital forms part of a program of social architecture created by the Government of Santa Fe to provide the citizens of the province with a comprehensive infrastructure of healthcare services. 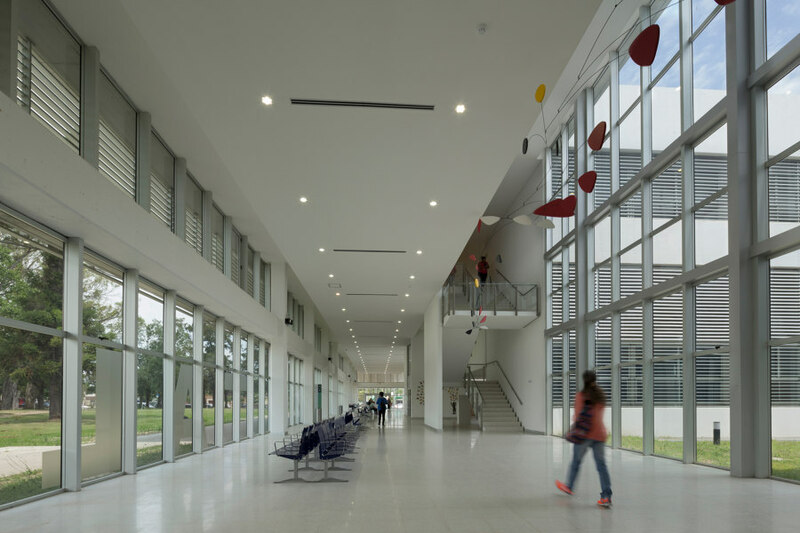 The “typological design system” developed by architect Mario Corea is the strategy implemented for the design of the hospitals included in this program. Unlike models such as prototypes, the typological design system is based on the development of an architectural project that can be adapted to different scales, territories and user groups. The typological design system has generated a concept known as the “evolutionary hospital”, which is based on a single repeated module that generates an adaptive framework perfectly capable of responding to the proposed program as well as adapting to progressive technological and functional changes. The possibility of changing the functional distribution or the technological equipment without the need to alter the support structure, the general circulation or the facades is a defining characteristic of the evolutionary hospital. 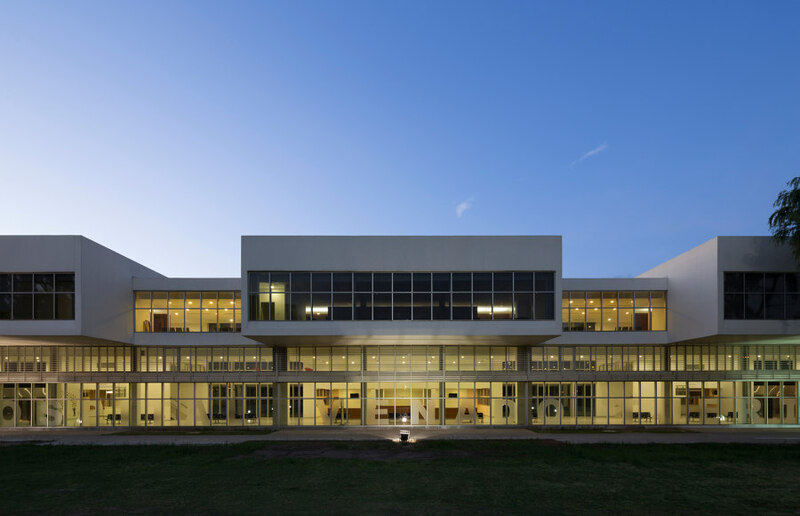 Dr. Gutiérrez Hospital is the first of five evolutionary hospitals to be constructed throughout the province of Santa Fe utilizing the typological design system. Formally, the hospital is a horizontal two-level structure, which is very effective from a functional point of view. By establishing a hierarchy of the different spaces according to their daily uses, the public, medical and technical spaces are connected by means of circulation patterns that form an internal sequence. 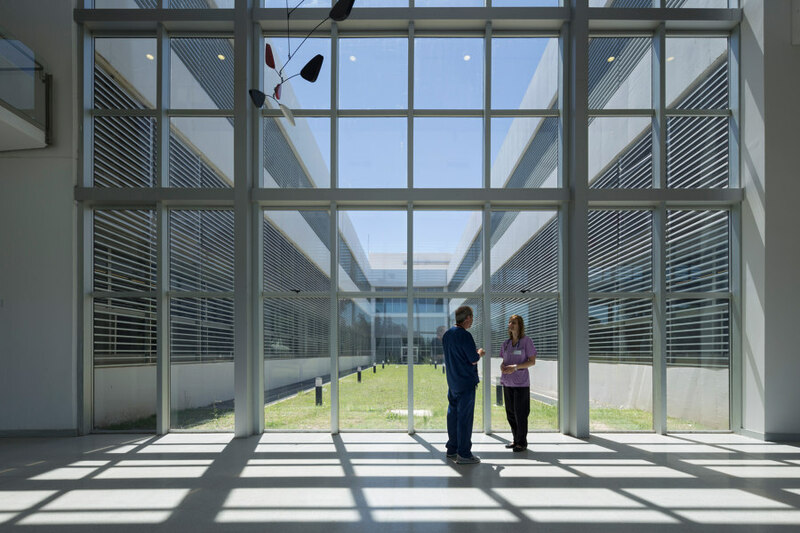 The interior spaces are organized around a series of patios, which provide natural light and ventilation, factors that have been shown to contribute to the improvement of patients, as well as to the greater work efficiency of medical personnel. The language of the facades is also systematic and modular, which means that they will not be altered by any interior modifications. As an integral part of the program being developed in the province of Santa Fe, the Dr. Gutiérrez Hospital responds to the new concepts emerging in contemporary healthcare such as sustainability, environmental impact, and intelligent use of natural and economical resources. The resulting strategy is based on a network that is composed of both general and specialist hospitals as well as healthcare centers of varying complexity, all integrated into an interrelated system accessible to the citizens.